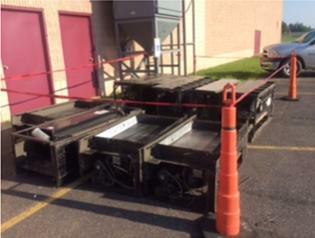 For more information about and the process leading to the RLSD Energy & Deferred Maintenance Projects, please check out the RLSD Energy & Deferred Maintenance Projects link. An old Air Handling Unit past its useful life will be replaced with new energy efficient equipment improving indoor air quality. 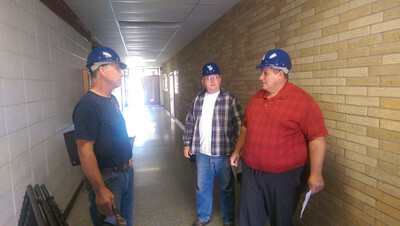 Butch Clendenning, community member, stops in to check on progress of the building upgrades. Project Steering Committee reviews work being done in the high school. 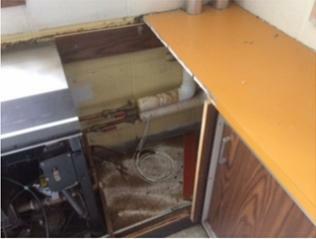 An old removed control panel. 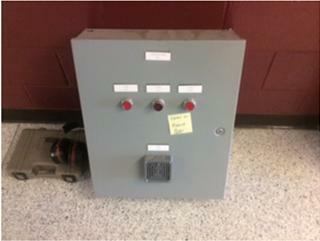 Electrical and equipment controls will be upgraded. 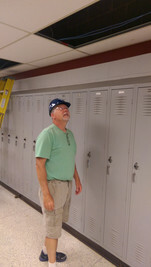 New ductwork in the Middle School will be installed during the month of July. 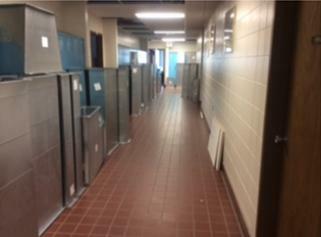 Most of the classroom Unit Ventilators have been removed in the Middle School. 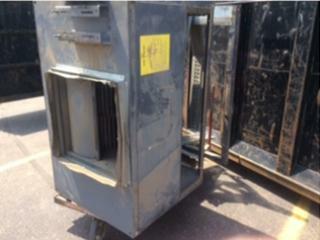 New sheet metal HVAC ductwork will be properly sized to accommodate new HVAC Equipment. 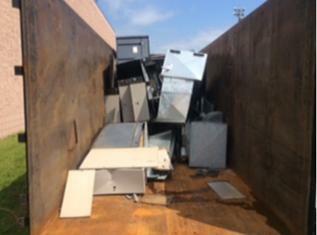 The removal of some unit ventilators has been challenging but surrounding materials will be replaced following the installation of new equipment.